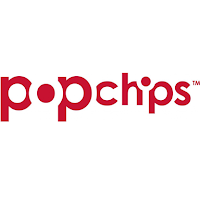 You may remember earlier this month I shared with you all that Popchips had just brought their new tortilla popchips for us all to enjoy here in Canada. Well I had the pleasure of reviewing a few samples of each flavor and let me tell you, they were scrumptious! If you have yet to try or if you haven't heard of popchips before, they are a delicious more healthier alternative options then regular chips. They have many different flavors and now with the release of the tortilla chips, they've gotten even better. The new tortilla popchips come in four different flavours; nacho cheese, ranch and salsa. I have to say, I loved all three flavors, but I had my favorite, which was the Salsa flavored. It was like a meatless taco, which was crazy, but it was so good. I definitely ate the bags up. My husband loved the Ranch flavor more, but to each their own because my kiddos were big fans of the Nacho flavor. I think because it was so cheesy. These were definitely a huge hit in my house and will definitely be purchased soon! If you're looking for a healthier snack, these are definitely the way to go. The tortilla popchips have zero trans fat and fewer calories, which lets you have more of them per serving then you would get with regular chips. So you could have your cake and eat it too with popchips by having more to eat and still remain eating healthy. If that doesn't get you the try them the fact that these flavors are off the hook should definitely want to make you try them! Disclosure: All opinions are my own. I received a few samples of popChips at no cost for the purpose of this review. No other compensation was received.